The most popular youth MTV show Roadies X5 is back with new name Roadies Rising. 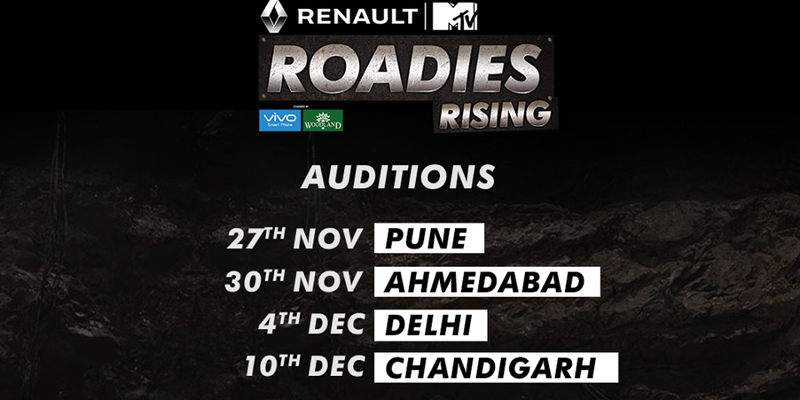 The Roadies has completed thirteen season and come back with another new season.MTV Roadies X4 audition will be held in four big cities Pune,Ahmedabad, Delhi and Chandigrah. 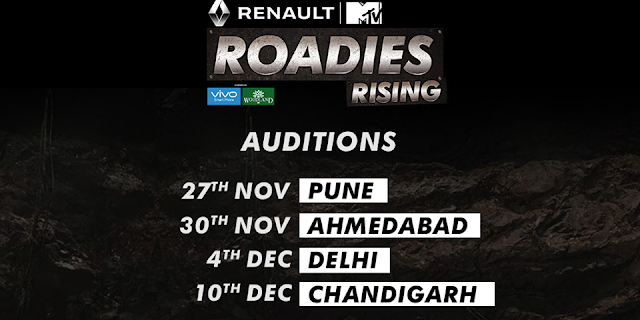 MTV Roadies 2017 audition will start from 27th November in Pune. The MTV Roadies Rising 2017 auditions forms will be available at the audition venue and participants have to fill the application form on the spot and submit to the moderator of group discussion. The contestants who will make a good first impression in the initial GD round in front of the moderators will have more chance to get selected for the show. So put your point and make it strong in front of moderators aggressively and smartly.